Birthdays and Rotons and Meetings, Oh My! It’s been a busy Fall for the Mosca Lab! At the beginning of September, we welcomed Layla Ghaffari as our new rotation student. Layla is a first-year Neuroscience graduate student and she comes to us from the Barrow Institute where she worked in the lab of Rita Sattler on ALS. She is keenly interested in imaging, neurodevelopment, and understanding synaptic biology and will be working on modes of synapse formation in the CNS. Welcome, Layla! We also celebrated our very first birthday! On September 24th, 2017, we moved into our newly renovated space and one year later, we’re roaring ahead! We’ve got lab members, active projects, and a great space to continue pushing back the frontiers of knowledge. We celebrated with white board art, great science, and pizza. We can’t wait to see what the next year will bring. Finally, at the end of September, Tim traveled to the 2018 Cold Spring Harbor Molecular Mechanisms of Neuronal Connectivity meeting. It was an amazing meeting for synapse formation, axon guidance, and plasticity. Also, we were honored to have the chance to present our new story on proteases involved in synaptic maturation. This is a completely new story that started in our lab and we hope to share it with the whole world very soon. Layla Ghaffari, our new Rotation Student. 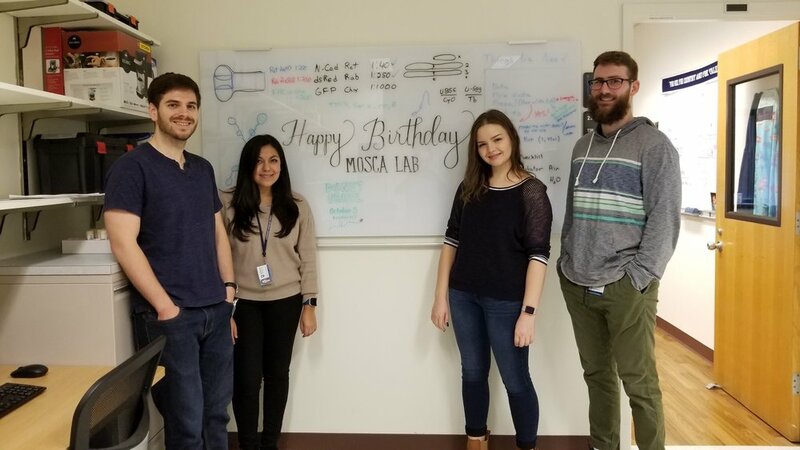 The Mosca Lab’s first birthday! We’re on our way to being a toddler! 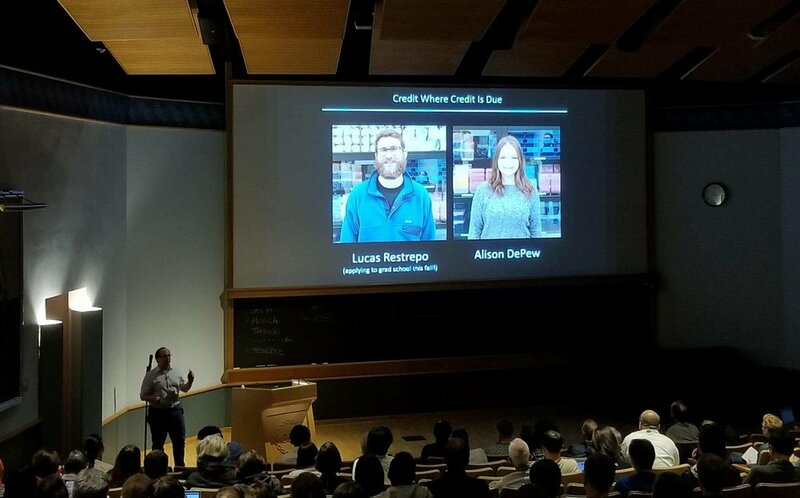 Tim speaks at the 2018 Cold Spring Harbor: Molecular Mechanisms of Neuronal Connectivity meeting on a brand new project (completely from our lab) on synaptic maturation!